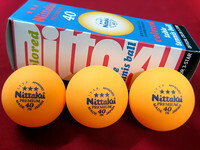 I find that over the last few decades Nittaku table tennis balls have lost some of their supremacy and quality. 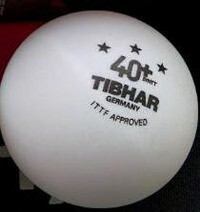 They are still some of the best balls being made, but they are no longer the undisputed champion. They tend to lose grip sooner than before and need to be replaced more frequently. Their speed and quality is still very good. Pros: Whiter than other brands, so visibility is better. The bounce is consistent, they play better than other brands. Cons: Cracked after 4 hours of playing, perpendicularly to the seam. For the price, the durability is unacceptably short. Out of round, not by much, but still for that price?? 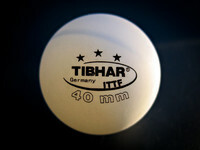 Box says: "Made in China", balls have "Germany", so where are they made? If in China, then they should say China on the balls, not Germany. At the price level and low durability, not the best value proposition out there.